444 pages | 130 B/W Illus. Michael J. Murphy, PhD, is Associate Professor of Gender and Sexuality Studies at the University of Illinois Springfield, where he has taught since 2009. He holds degrees in the history of art and women’s/gender/sexuality studies from the University of Iowa and Washington University in St. Louis. Since 2005 he has taught numerous courses in women’s/gender studies, critical men’s/masculinity studies, and LGBTQ+/sexuality studies. 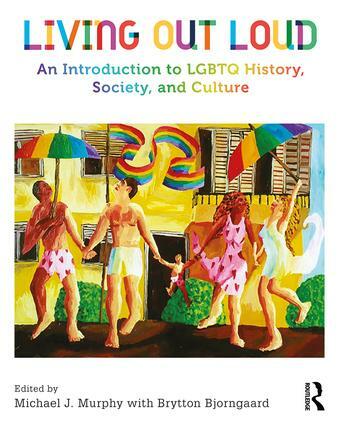 He is the author of many encyclopedia and journal articles, and other publications including Activities for Teaching Gender and Sexuality in the University Classroom, Michael J. Murphy and Elizabeth Ribarsky, eds. (Lanham, MD: Rowman & Littlefield Education, 2013). He lives with his husband in St. Louis, Missouri. Brytton Bjorngaard is an Assistant Professor of Digital Media at the University of Illinois Springfield. She holds an MFA in Graphic Design from Iowa State University and a BA in Graphic Design from Saint Mary’s University of Minnesota. She is a freelance graphic designer, working primarily for non-profit organizations in the Springfield, Illinois area, including the Enos Park Neighborhood Improvement Association, Springfield Art Association, Shelterbelt Press, and Compass for Kids.